1. 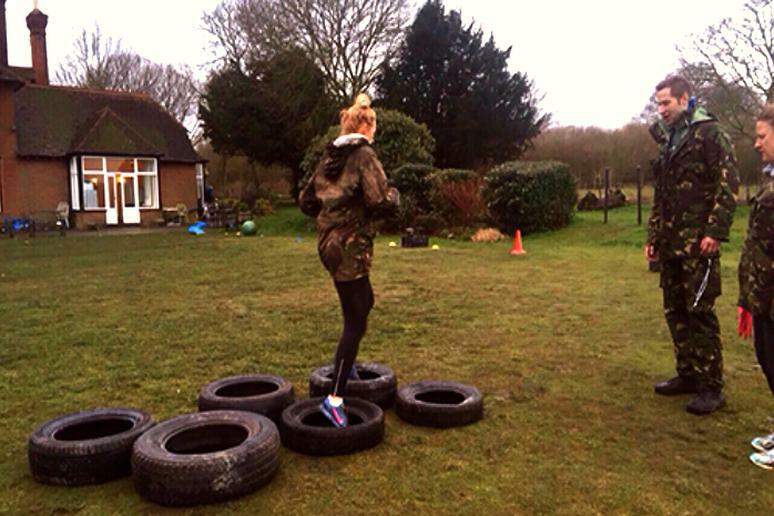 GI Jane Bootcamp, U.K. This bootcamp is for women only. You can stay for three, four or seven day and be trained by professionals. The goal is to lose weight and gain mental strength. The groups are small so everyone gets enough (and a lot) personal attention. If you even wanted to push yourself to your physical limit, and possibly beyond, consider this bootcamp. A typical day is: Waking at 5:30 a.m., circuit training at 6; breakfast at 7, iron man drills as 8, then you do bums and tums; followed by boxing and running. This is just before lunch. Then the program includes two-hour trek, netball, assault course, soaking in cold water, dinner and massage. Who says Ibiza is just for partying all night? You can do that if you have any energy left after all the running, kickboxing, dance lessons, beach circuits trainings, mountain biking and hiking you’ll be doing during the day. Don’t despair, the facility offer pleasant services as well – take a Turkish bath, visit the sauna, tea bar or the luxury Revival Spa. Relax in the Feng Shui pool before you call it a night. Easy, moderate or strenuous hikes? Take your pick. 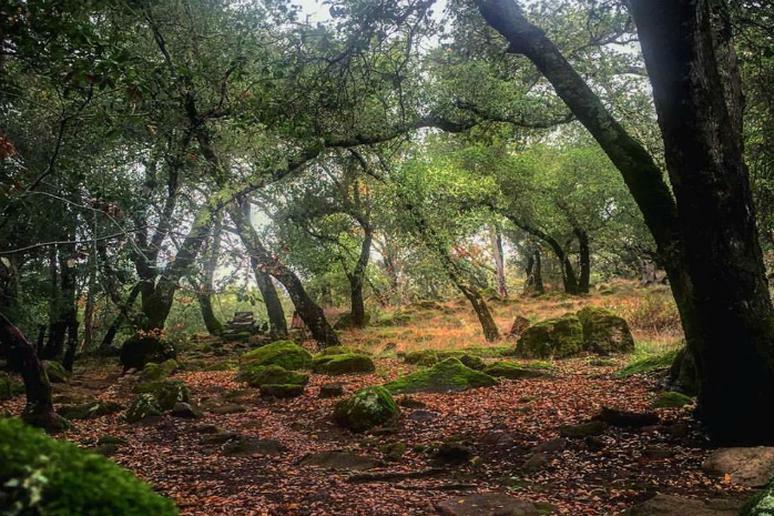 The region has many dozens of miles of trails right by Northern California’s Mayacamas Mountains. Walking there is a perfect kind of high-intensity training. 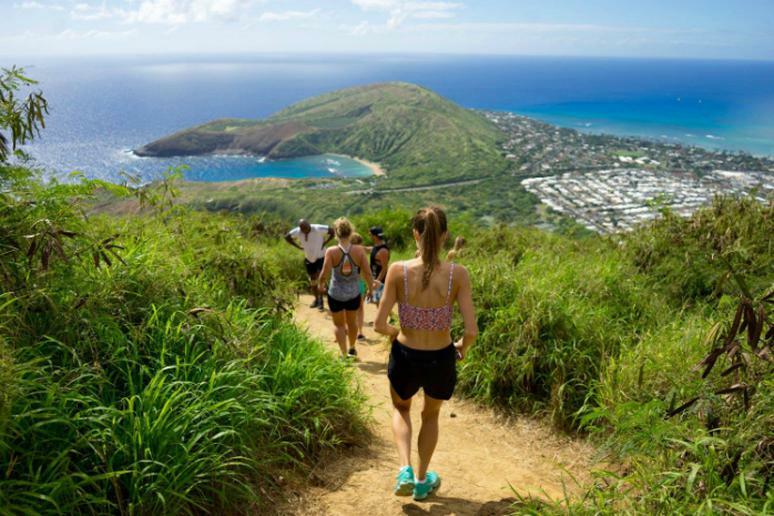 The hikes come with Eco-Fitness classes – stopping on uphill paths for some cardio exercises and resistance training. If you want to try some of the wine, which you should, bike to the many wineries in the vicinity. You get two training sessions a day which include intense workouts such as TRX, circuit training, boxing, and SUP yoga. In addition, you go hiking a lot. 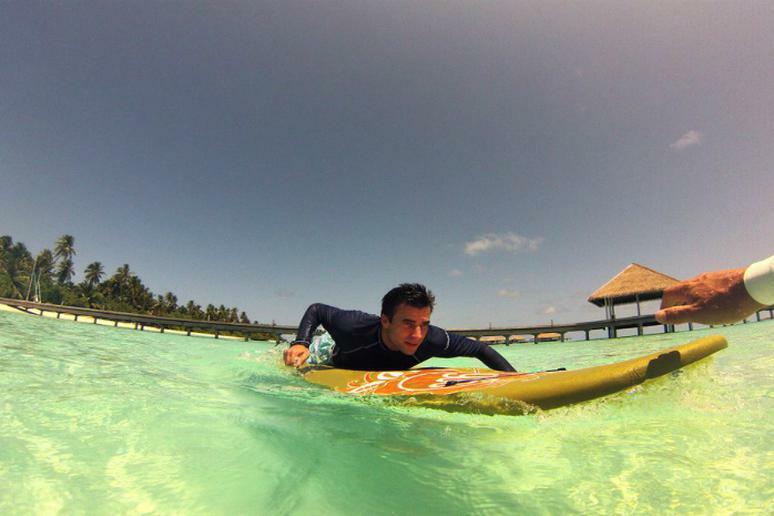 Surf lessons are also offered which you should take advantage since Hawaii is home to some great waves. And if that’s not enough, you can go horse riding, golfing or scuba diving. 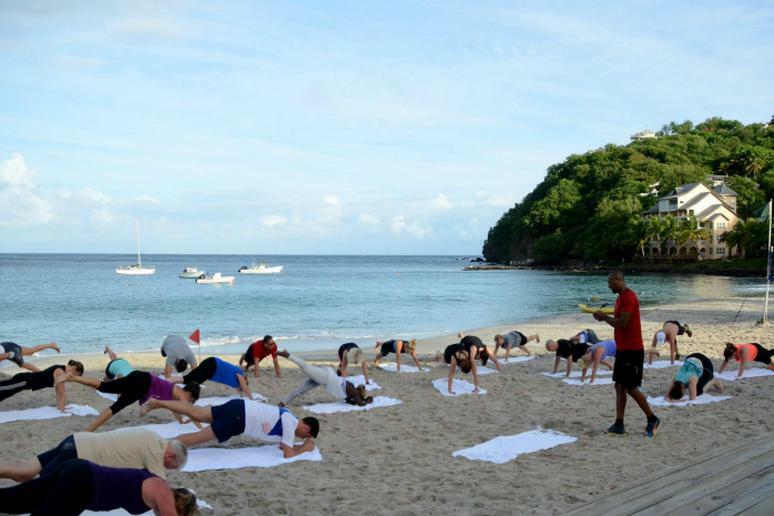 A fitness retreat doesn’t have to be all about standard workouts. Surfing can be a very taxing activity. 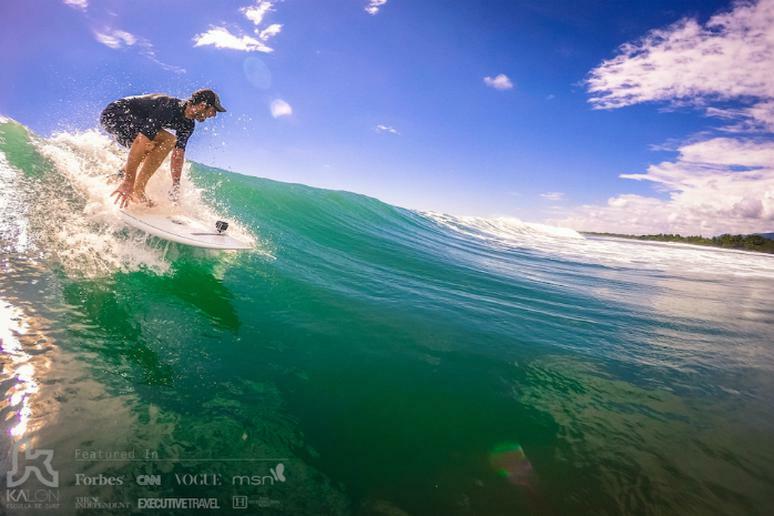 Dominical in Costa Rica is famous for its waves so, naturally, resorts there will offer surf challenges as part of their package. The program is seven days and it starts with training sessions in a pool to learn the basics. Special Pilates sessions are scheduled in the morning. This place has a lot of everything. 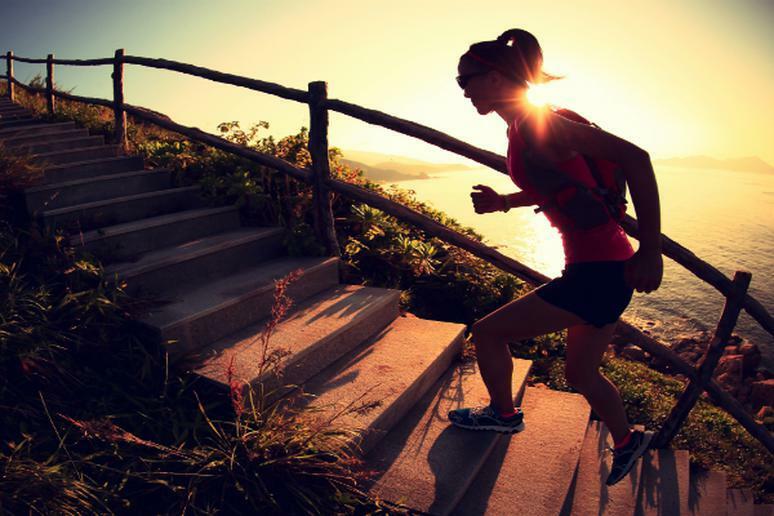 Cardio workouts include circuits outdoors, mountain biking, hiking, and running. 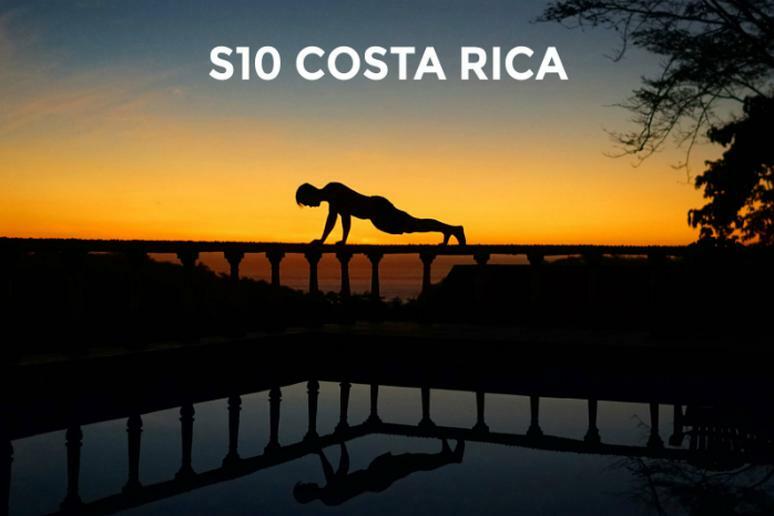 You can mix them up with surfing and yoga, or intense strength training that involves a personalized bootcamp, paddle boarding, surf lessons, kayaking, or TRX. You can go to free group classes on body conditioning, beach running, body combat, Pilates, and CrossFit. The resort may be in an isolated location but it’s very exercise-oriented. Its motto is “Give us your body for a week and we’ll give you back your mind.” They try to accomplish that with tennis, yoga, Pilates, spinning classes, personal fitness sessions, volleyball and even archery. You get 50 minute at the spa every day. You can enjoy many water sports. Some of the more physically challenging are windsurfing, tubing and water-skiing. This is a cross training vacation. 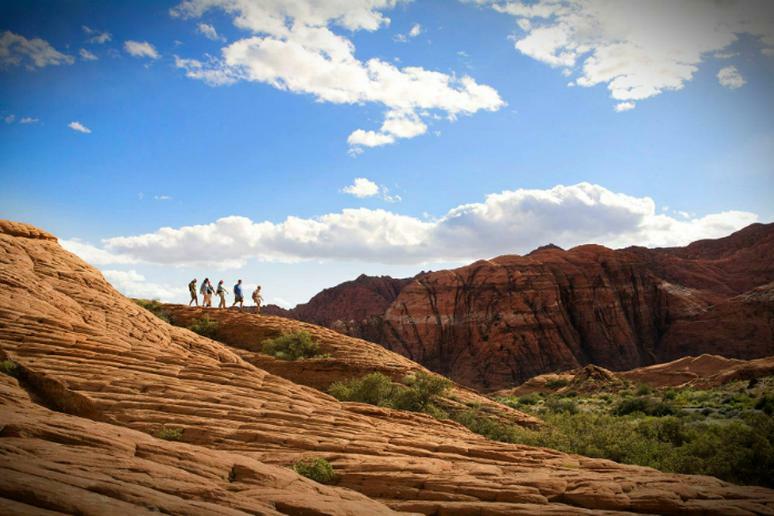 You will be getting fit and strong in a valley of red rock cliffs and huge canyons around the Red Mountain Resort in Utah. The course is actually four days long. Mornings start with difficult hikes. The day may get a little bit easier depending on your fitness level. Personal training sessions, TRX workouts and bootcamps will drain your energy. 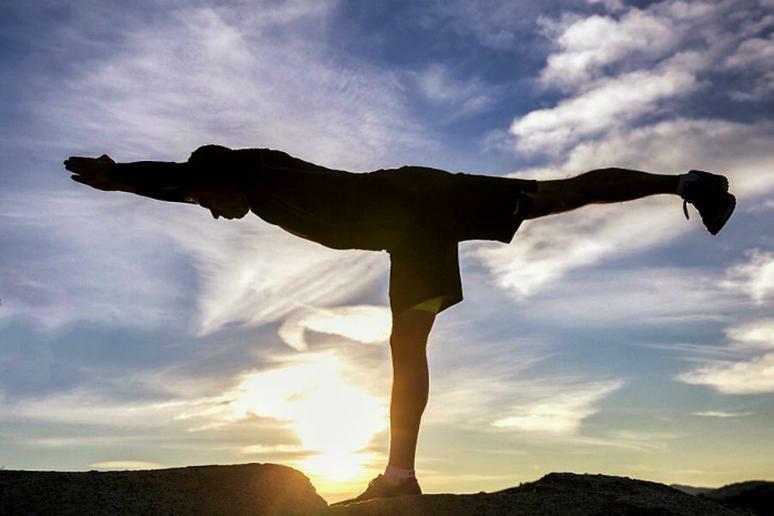 To relax, you can do some yoga atop the dunes of Snow Canyon State Park. The Maldives are not only about beaches and swimming in pristine water. That’s just a bonus. In terms of more intense water activities, the area is mostly known for diving and surfing. 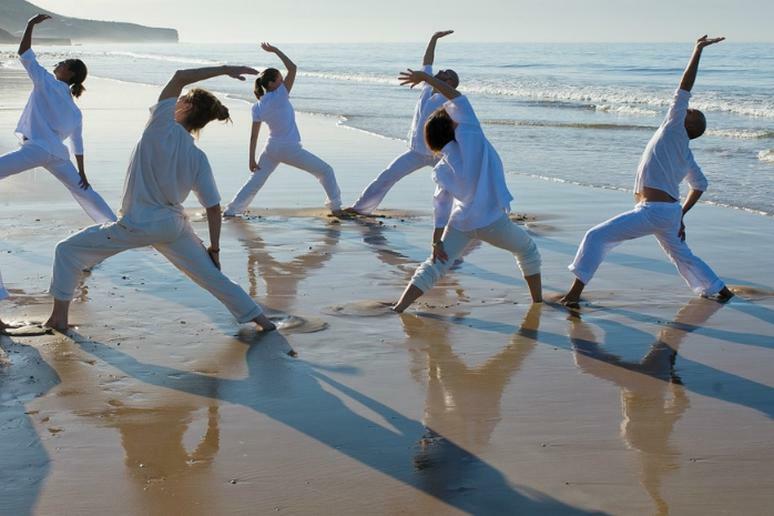 Yoga is the focus of this wellbeing resort. It has eight overwater, ocean-facing treatment rooms, steam rooms, and an open air yoga pavilion—all enveloped by blue horizons and gentle sea breezes. Get on a bike and zip around the island. 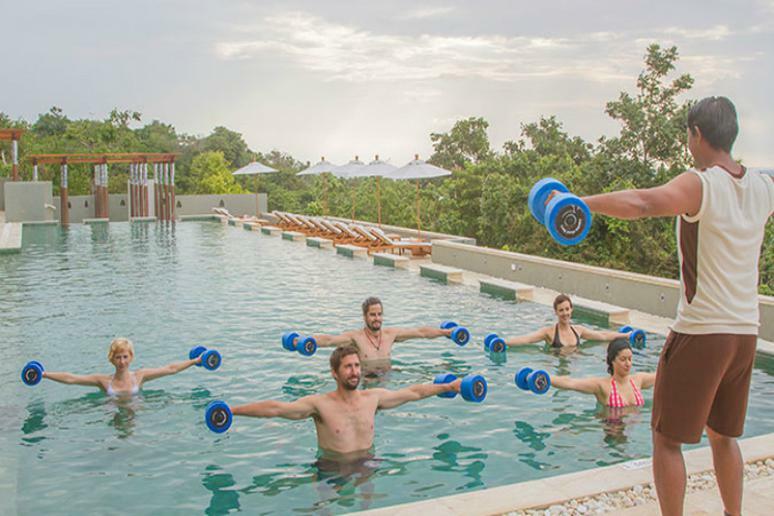 If you’re looking for a high-end fitness holiday, this may be it. 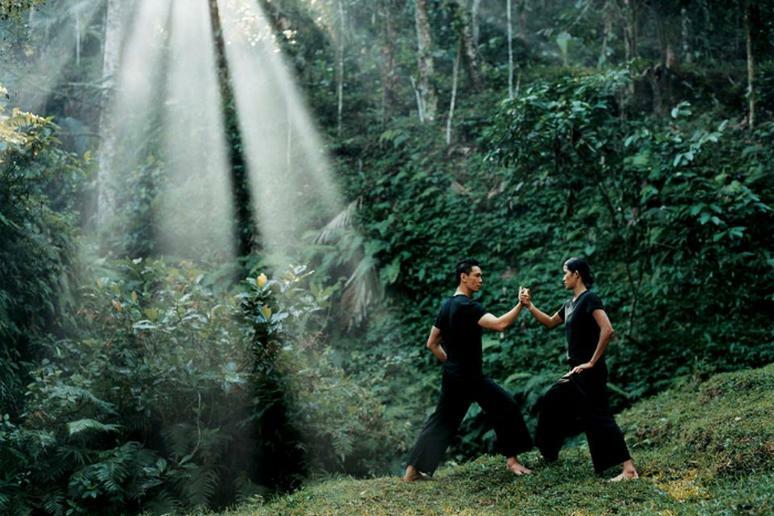 The luxury resort consultations have fitness leading personal training sessions outside in the jungle. Mountain biking through rice fields is very challenging and you will do it. Yoga and Pilates classes are also offered. You can join meditation classes as well as groups doing rock climbing and circuit training. This is the ultimate cardio training vacation. You are surrounded by nothing much more than 3,000 acre of lavish gardens, presenting you with dozens of challenging activities – boxing, hiking, biking. They offer tennis lessons and exercises in the water. You may consider acupuncture or a therapeutic massage to relax later in the day. Other fitness classes include circuit training, cardio drumming, trekking and dance. 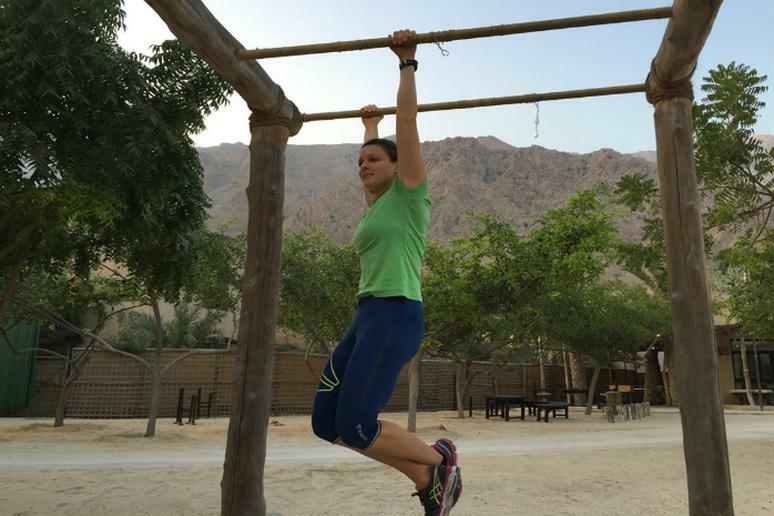 You probably haven’t considered the Middle East as a fitness destination but the Zighy Bay may change your mind. The resort’s programs include five one-hour one-on-one training sessions with a coach, different kinds of massages, including bamboo and Thai, two private sessions of mountain biking, walking trail, kayaking or tennis. Mornings always start with light running. You can use the gym as much as you’d like. The same goes for the steam and sauna. Free classes include stretching, aqua fit and yoga. You can go for five, seven or 10 days. You get a lot of personal training sessions depending on what your goals are. The facility offers many different kinds of massage therapies. The programs mostly focus on detox and cleansing. Other physical activities you can do while vacationing there include cycling, snorkeling, aqua aerobics and Tai Chi. You also have access to a steam cavern, swimming pool, plunge pools and a regular gym. Ever wondered what it would be like to train in mud? This is not all this fitness vacation has to offer. You will be working out with rocks and logs. Regular intense weightlifting sessions are also on the menu. Some of them will take place during the military-like obstacle courses in the jungle. Running may seem like the easiest exercise. There is a fully equipped outdoor gym with squat racks, pullup stations, tires, ropes and custom logs for weights. Relaxation activities include massages, zip lining and snorkeling.